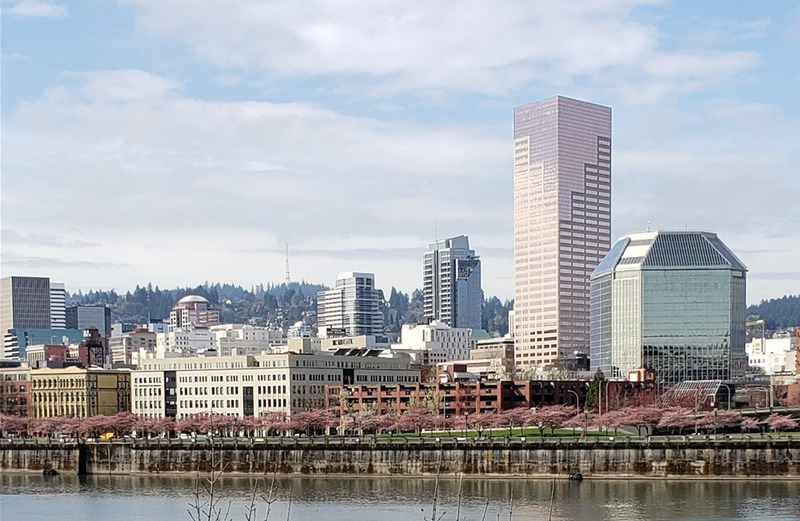 On January 4, 2019 I implemented my plan to attend at least one writing conference this year by registering for the American Writers and Writing Program Conference (AWP) in Portland, Oregon at the end of March. Though the conference usually attracts 12,000 writers, I mustered the courage to brave the crowds. I booked my hotel and airfare and then sidelined thoughts of the conference. Ethiopian Airlines flight 302 had crashed on March 10, becoming the second Boeing 737 MAX accident in less than five months. Countries around the world had banned 737 MAX flights, but not the U.S. The New York Times was reporting that Boeing CEO Dennis Muilenberg had called President Trump to express confidence in the plane. That did not increase my confidence though. I found myself researching the type of plane scheduled for my flight. It was a Boeing 737 900. I learned that the Boeing 737 900 had been in service since 2001 and had a good record. The research reassured me, but I admit to not exhaling until the U.S. grounded the 737 MAX on March 13 and there was no chance Alaska Airlines could substitute it for my flight. That I needed to research the plane and seek reassurance two days after the Ethiopian Airlines crash signaled a crisis communication failure on Boeing’s part. Boeing’s silence bewildered me. News reports made it clear company officials were talking to the press. Why weren’t they communicating directly to the public? Brands in crisis need to communicate directly with their customers and other constituencies to show they care and are on top of the situation. 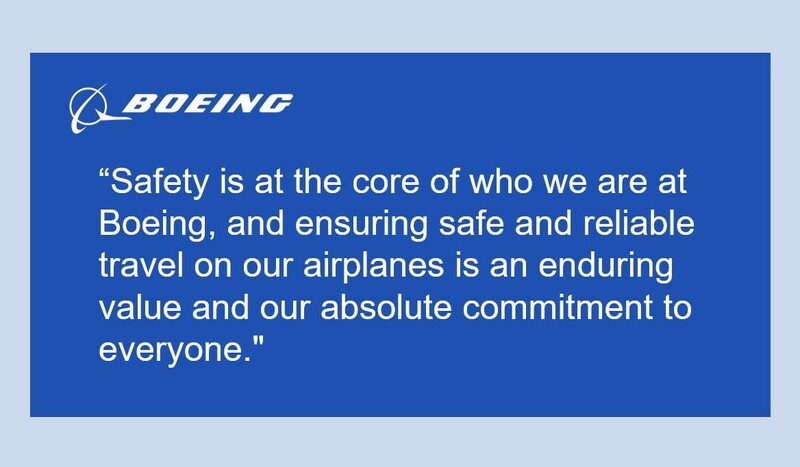 CEO Muilenberg remained mum until March 17 and then issued a brief statement expressing sympathy for those who lost loved ones, confirming that Boeing was following standard post-accident practice and announcing it was finalizing a previously planned software update and pilot-training revision. The Seattle Times reported on March 17, 2019 that Boeing’s development of the 737 MAX was lagging nine months behind their key competitor Airbus’ Air320neo and that drove them to pressure the F.A.A. to speed certification. Interviews with current and former F.A.A. safety engineers revealed that their managers had pressured them to expedite the 737 MAX’s safety certification and to delegate safety assessments to Boeing employees. The interviews also highlighted flaws in Boeing’s original safety analysis. The New York Times reported on April 8, 2019 that the 737 MAX was based on the 737’s 1960s design, employed 1990s computing power and necessitated use of paper manuals to solve operational issues. Boeing used the old, familiar design to cater to airline customers who wanted to avoid costly pilot training and to allow their pilots to transition quickly to the new jets. The Maneuvering Characteristics Augmentation System (MCAS) was one of the workarounds. Boeing’s flawed safety analysis allowed the system to operate on a single sensor reading, underestimated MCAS’ power and failed to account for how the system could reset itself each time a pilot responded. Boeing has long been known for safety and innovation. Even rushed, the development of the 737 MAX situation took years and was the sum of many Boeing management decisions. Boeing’s website Vision page proclaims the company’s purpose as “Connect, Protect, Explore and Inspire the World through Aerospace Innovation” and lists seven “Enduring Values”: Integrity, Quality, Safety, Diversity & Inclusion, Trust & Respect, Corporate Citizenship, Stakeholder Success. The combined 14 values and behaviors seemed like a hodgepodge to me and in some cases, contradictory. I was confused. How does a manager choose between “Win with speed, agility and scale” and Quality and Safety? Does “Win with speed, agility and scale” take precedence over Integrity in the face of competition and justify pressuring the F.A.A. to speed certification? How do the goals of save money and minimize certification and flight-test costs dovetail with Quality, Safety and Integrity? How can managers balance “Make customer priorities our own” and the brand purpose of innovation? These values and behaviors do not seem to work in concert. Instead they run the gamut and leave managers in the difficult position of meeting conflicting directives. I believe the collective sum of decisions that ignored Boeing’s emphasis on innovation and were based on competing values and behaviors ultimately cost 346 lives. On April 5, 2019 CEO Muilenberg issued a statement entitled “We Own Safety – 737 MAX Software, Production and Process Update” which announced the formation of a committee to review the company’s policies and procedures for designing and developing airplanes to ensure safety and recommend improvements. Boeing is fighting to save its reputation on safety. I believe the Boeing brand will survive. I’m not sure about the Boeing 737 MAX. Orders for the 737 MAX stopped cold in March. Garuda Indonesia Airline, which had placed an order for 50 of the planes and had taken delivery of one, is trying to cancel the other 49. Ethiopian Airlines’ CEO has said it will be hard to restore trust in the plane. The 737 MAX remains grounded around the world. Boeing has said that the software update and recertification process will take longer than anticipated and is at least weeks away. Airline customers have had to cancel hundreds of flights, inconveniencing their customers and losing money. Boeing has slowed production of the plane to 42 per month from 52. As the 737 MAX was only in service since 2017, its brand does not have the reputation for safety that its parent company has and may find it hard to recover. Though your organization is likely smaller than Boeing, you still need everyone on your brand team making decisions in a way that is consistent with the customer experience you want to deliver and with your desired brand image. You can’t be everywhere at once to ensure this. That’s where well-crafted brand values come in. 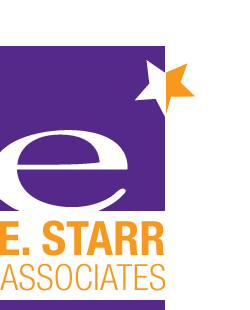 Ideally formulated in conjunction with long-serving and well-regarded employees, brand values foster a healthy culture and ensure consistency. Choose five to ten values that are most important to your organization and that are true to it. Aspirational values that contradict reality will fall flat and erode the value set’s credibility. Be clear. Use specific wording for each value and include a brief statement to elaborate. Involve employees in the wording so that it rings true and so that they understand the meaning. Make sure the values mesh well. As a collective set they should work to engage employees, inspire desired behaviors, deliver a consistent customer experience, attract like-minded employee candidates and deflect those whose value systems differ. Communicate the values often. Post them in common spaces. Have community conversations and events about them. Feature them in your recruitment process and again in your onboarding procedures. Be consistent. For the values to stick and be effective, they need to be lived daily. Brand policies, procedures and operations should adhere to and reflect the values. Brand values should be evident in the team’s actions and words. Model from the top. As business owner and leader, your words and actions cue everyone on your brand team. You must embody and live the brand values consistently for your team to follow. Show that brand values are non-negotiable and remove employees for whom the values do not fit. I am happy to report that my flights to and from Portland were uneventful. The AWP conference was fabulous. I got to meet some of my online writing colleagues in person and that alone was worth the trip. Next up is to plan a family vacation, possibly to Iceland. You can bet I will be paying closer attention to the model plane we will be flying.